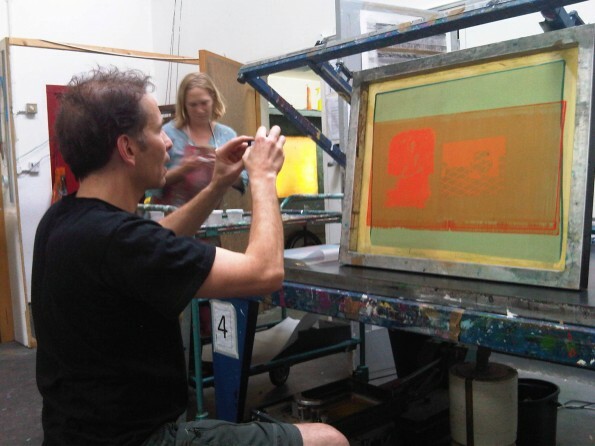 In this content rich course 2 tutors show you how to develop your skills allowing you to get a thorough grounding in all aspects of screenprinting with emphasis on good studio practice. Gail Mason will lead you through the first 5 weeks where she will take you through all the steps needed to produce great screen prints. From this base, Irena Czapska will further develop yours skills with time for experimentation and project work. You will be shown various screenprinting techniques; paper and photographic stencils making, monoprinting, reversals and digital mark making , which can be used towards this end.